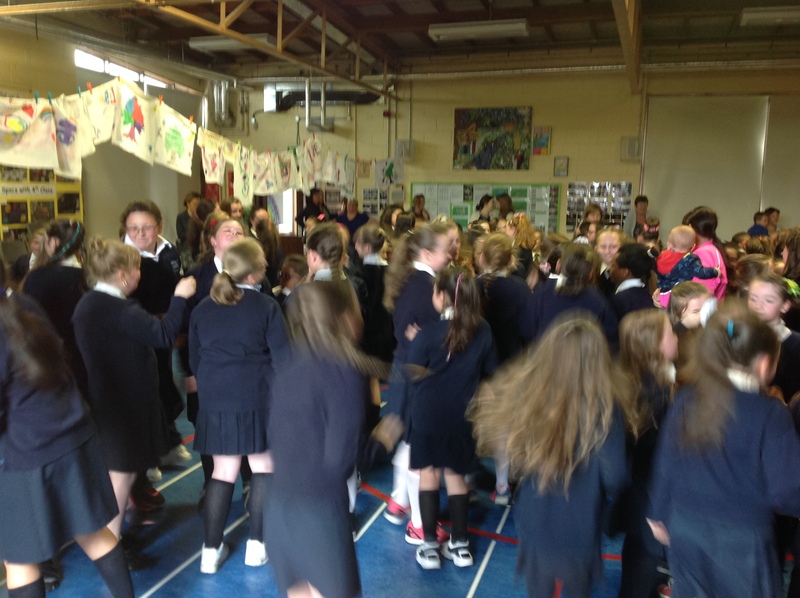 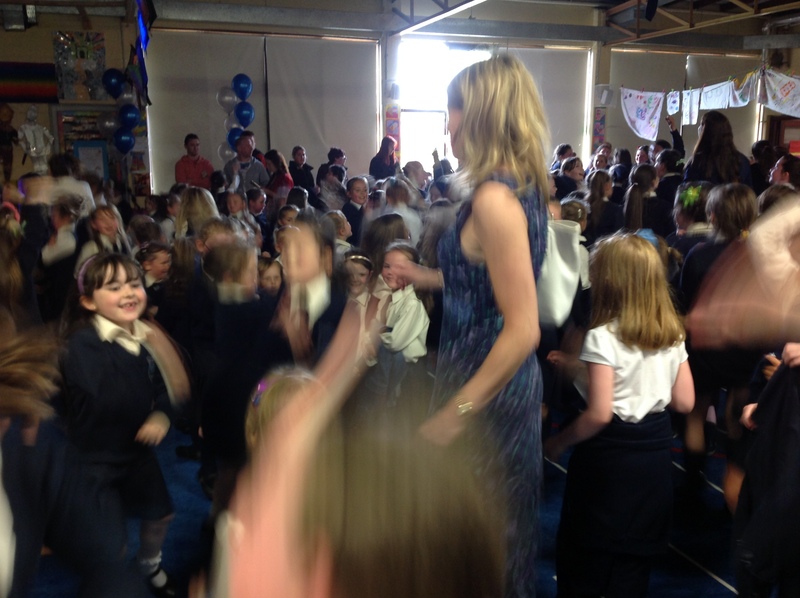 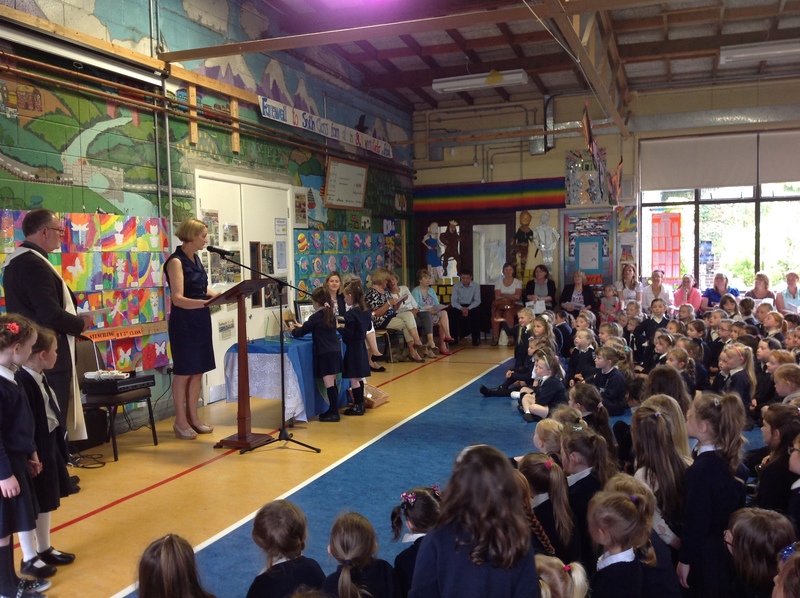 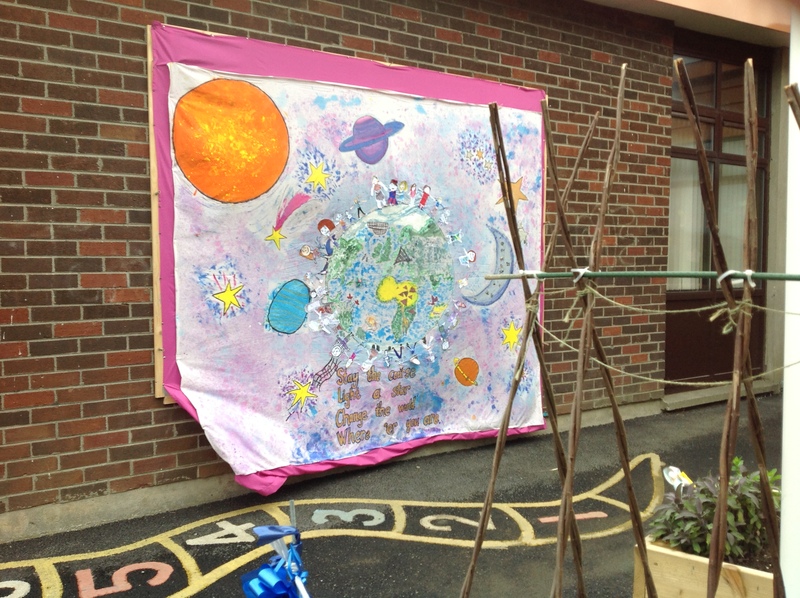 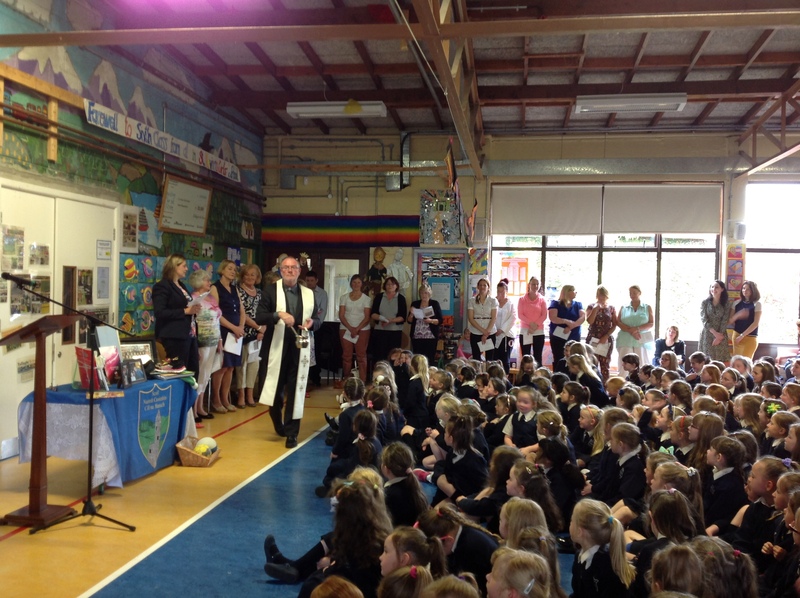 On behalf of the staff and Board of St Kevin’s GNS., I would like to thank everyone who joined us in our 40th anniversary celebrations on Wednesday the 17th June. 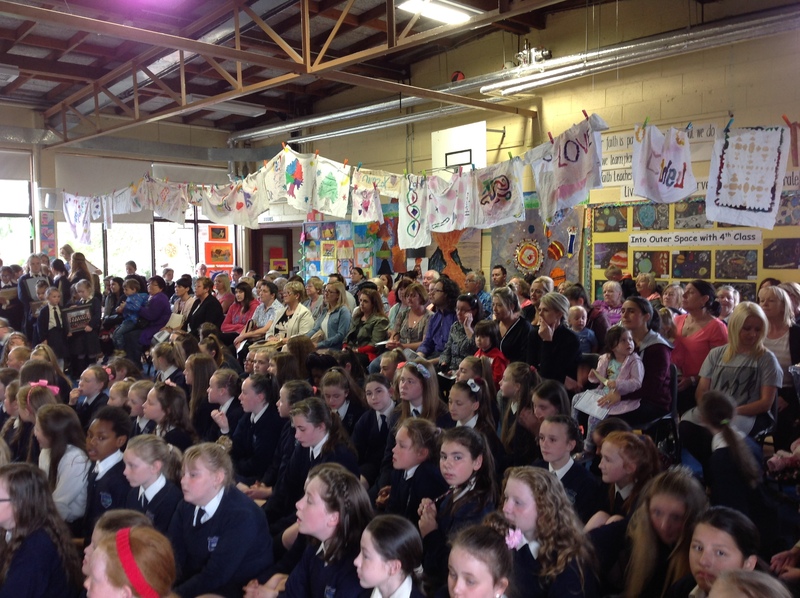 We were overwhelmed by the large number of people who joined us. 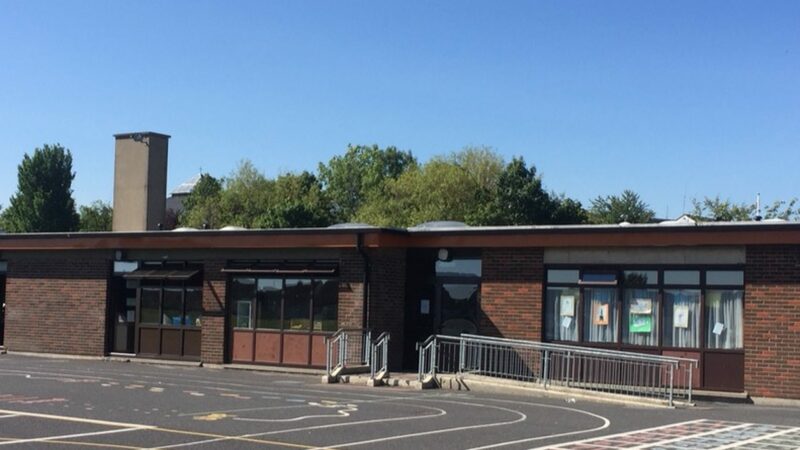 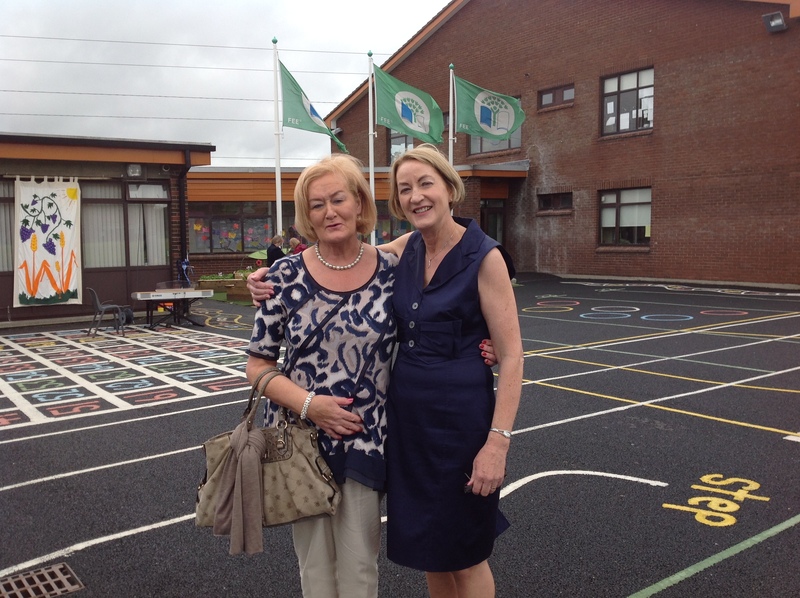 It was a pleasure to meet so many of our past pupils (including some of our very first pupils), parents, staff (past and present ), the Friends of St. Kevin’s schools, the Parents’ Association, priests who served in Kilnamanagh and past and current board members, and in particular so many members of our first Board of management in 1975. 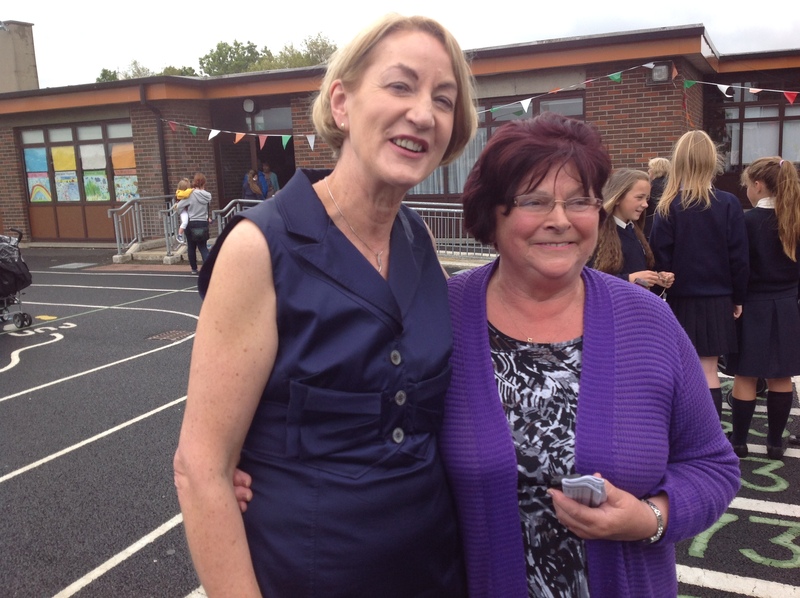 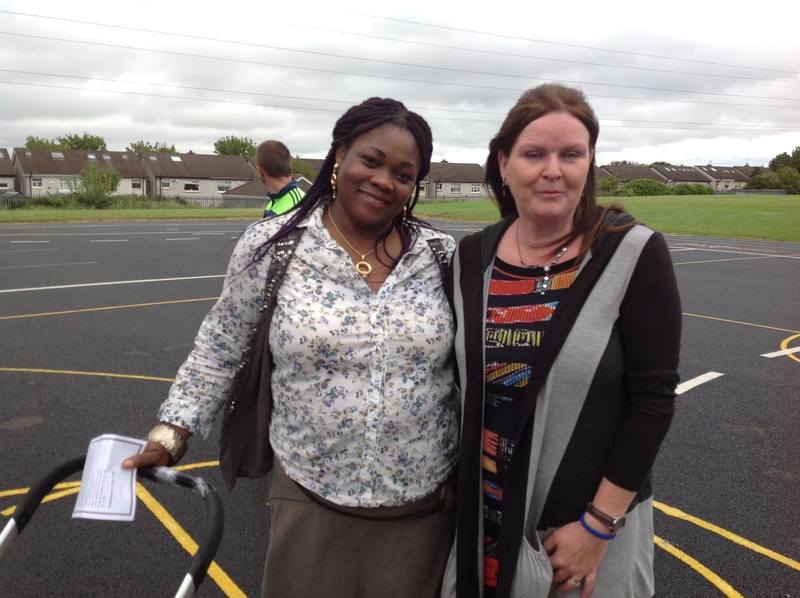 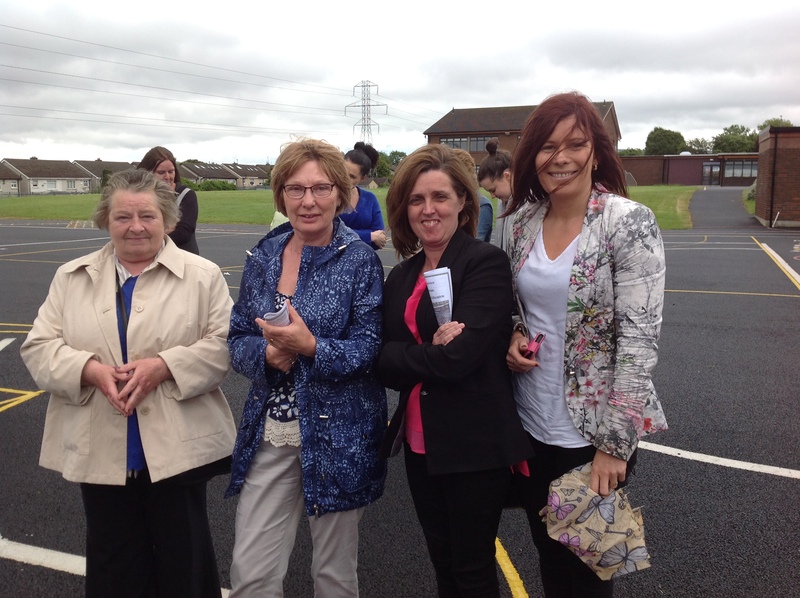 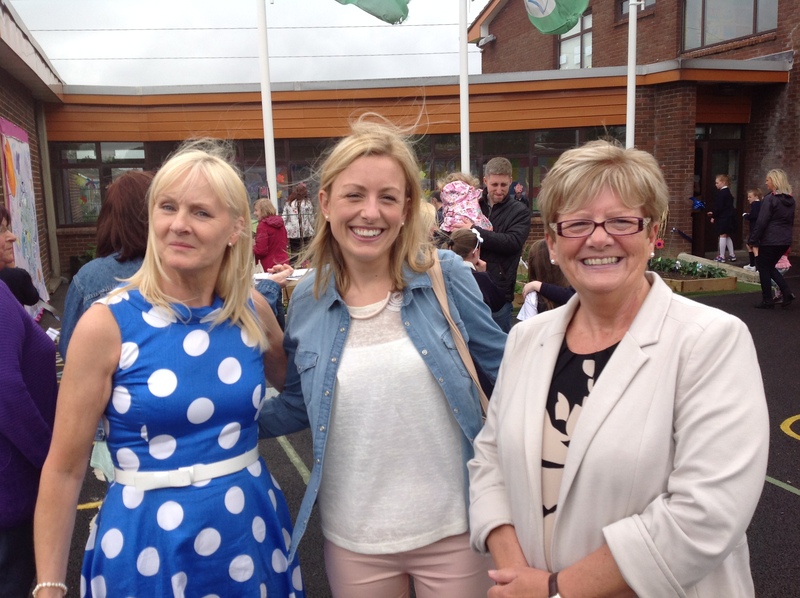 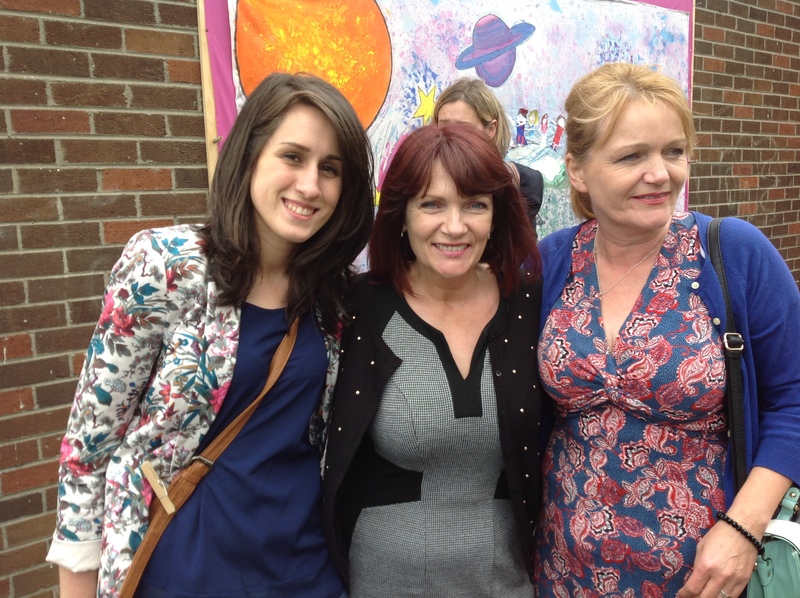 Ms. Treasa Bennett, our first Principal, Sr. Irene our first deputy principal and our second principal, Ms. Alice Shaughnessy–Hynes also joined us on the day. 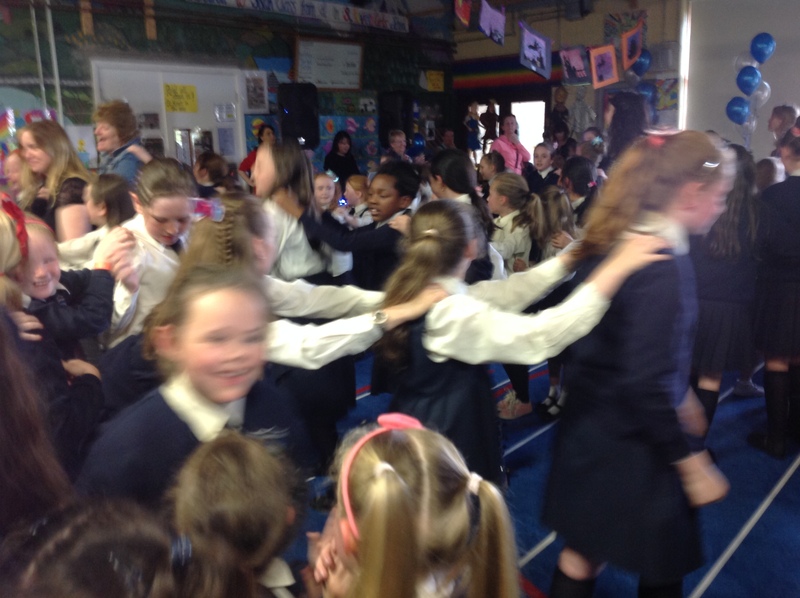 During the day celebrations, Fr. 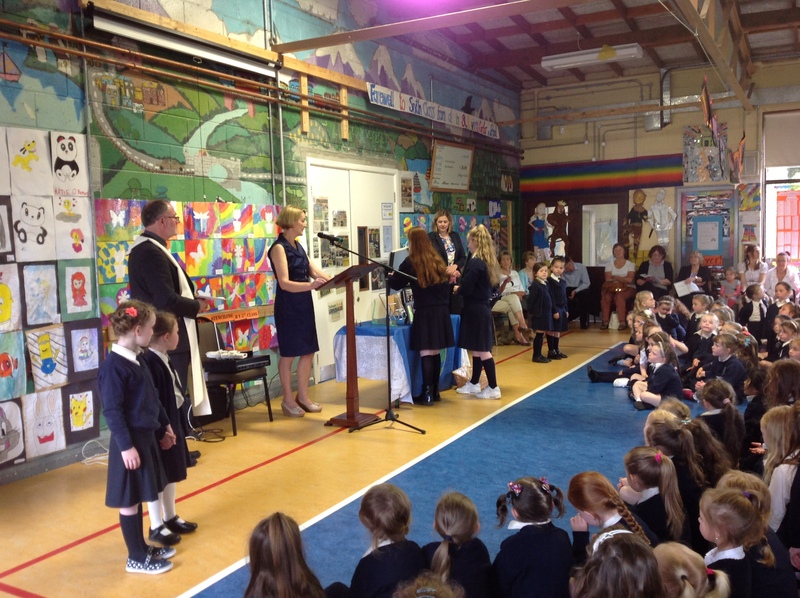 Michael Murphy led a lovely Jubilee prayer service, with beautiful hymns sung by the whole school led by our wonderful choir. 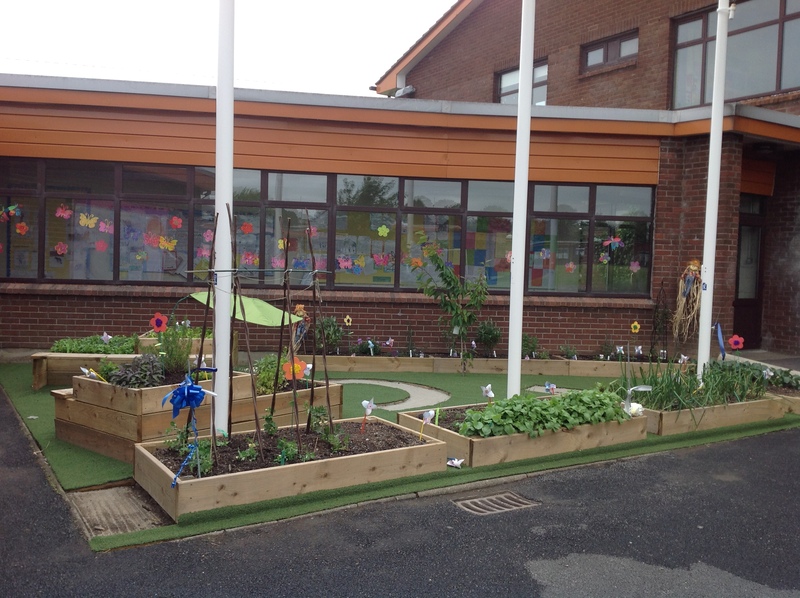 Afterwards, we opened our Jubilee Garden in the main yard and let off balloons. 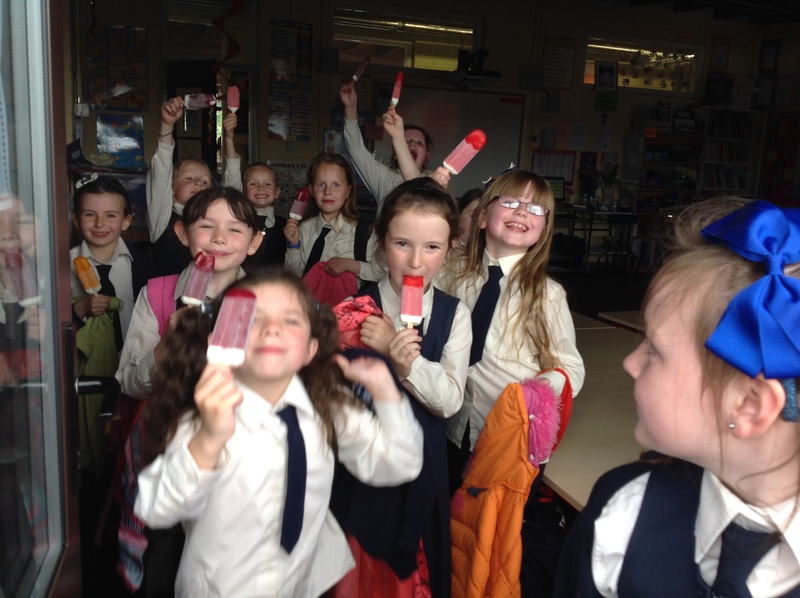 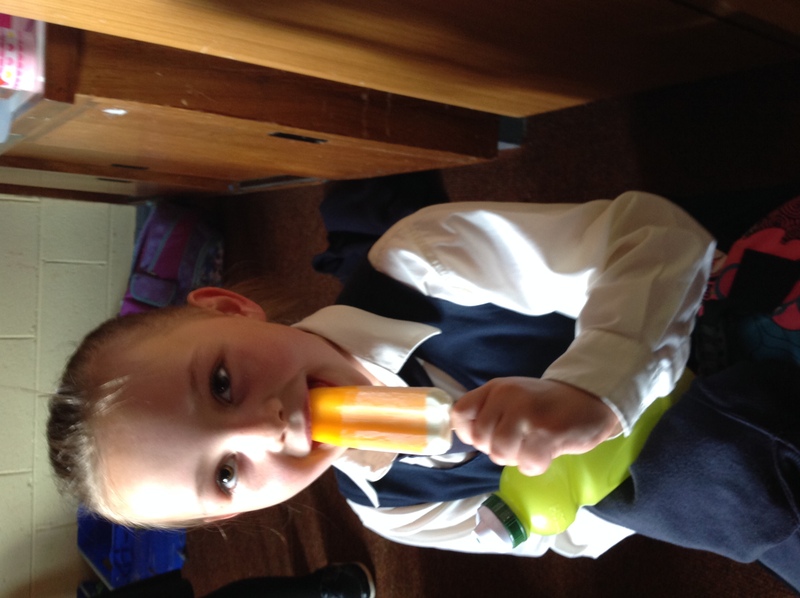 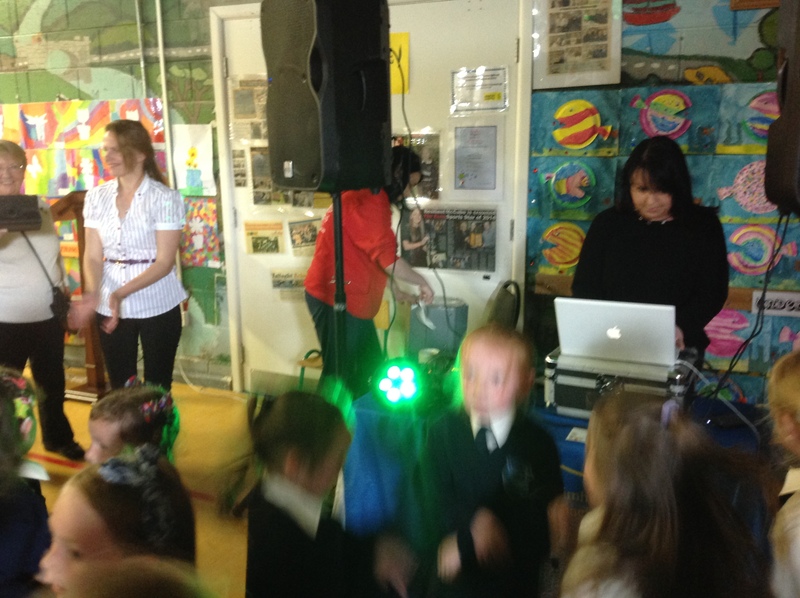 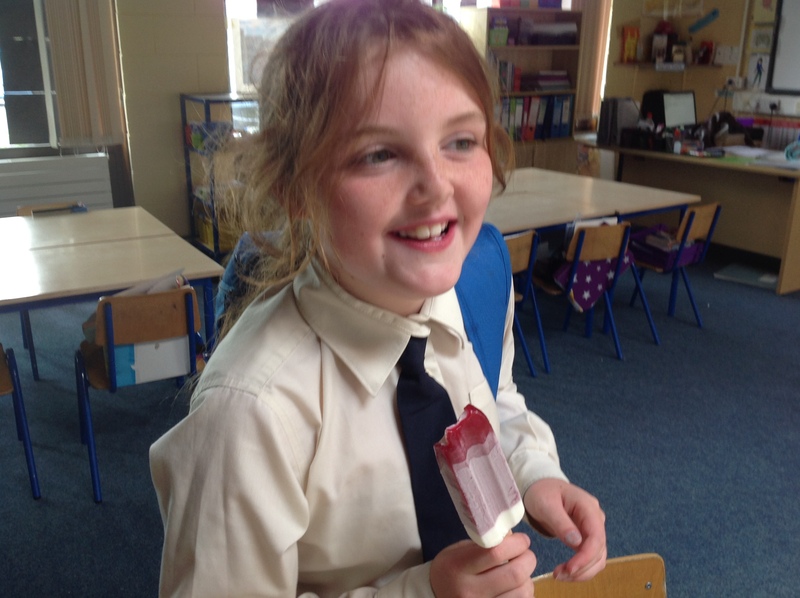 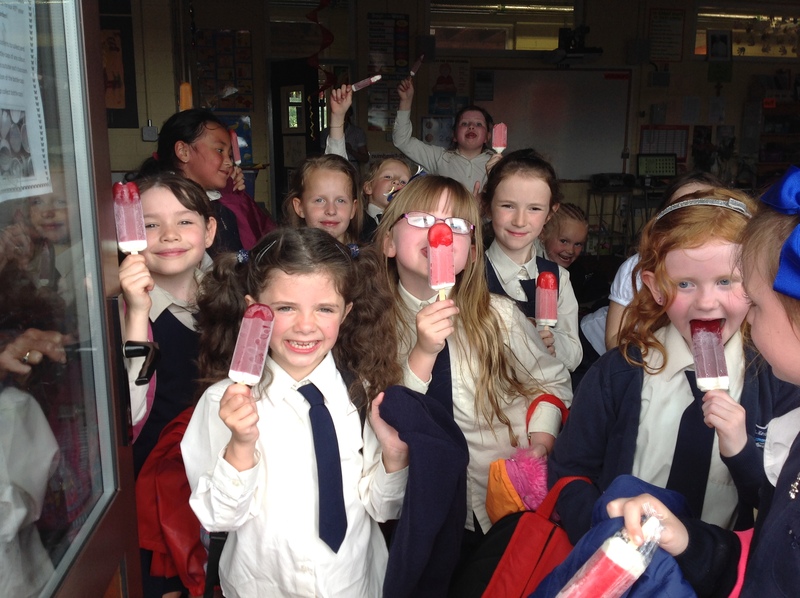 In the afternoon Eugene the magician entertained the whole school and the pupils finished the day with a disco and an ice-lolly. 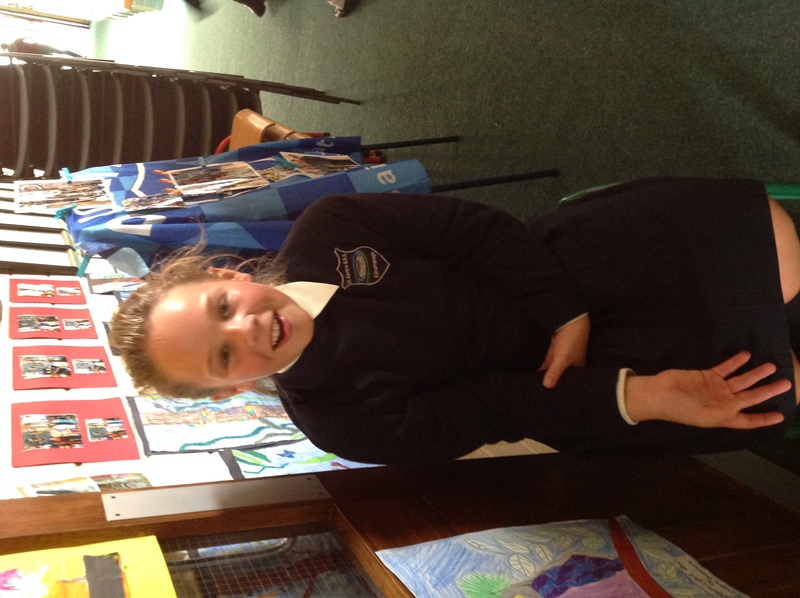 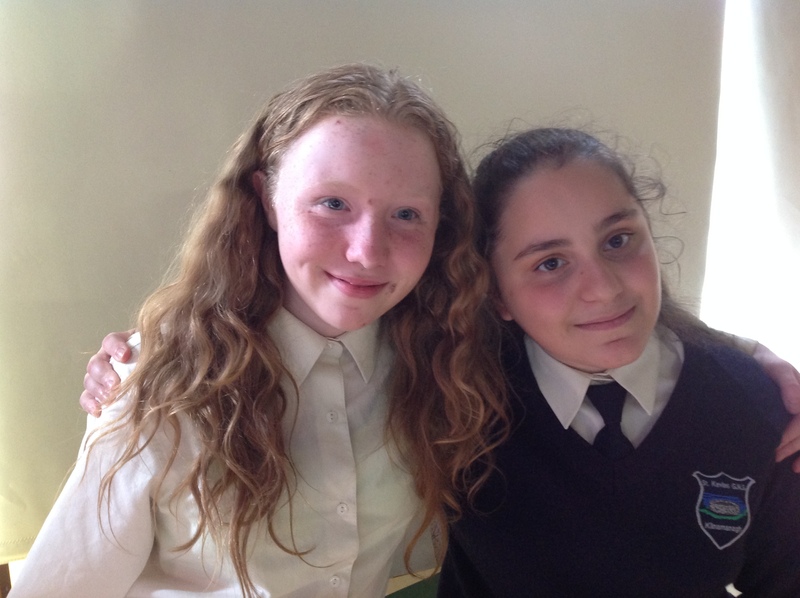 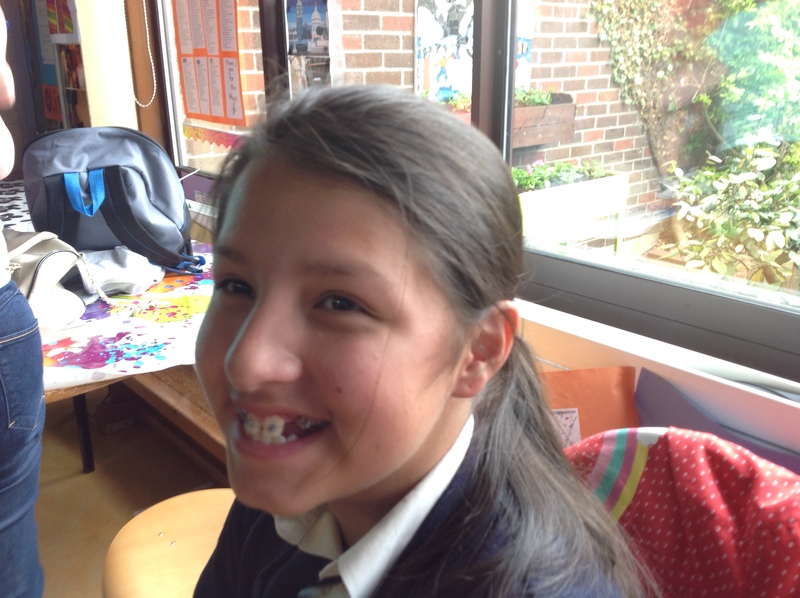 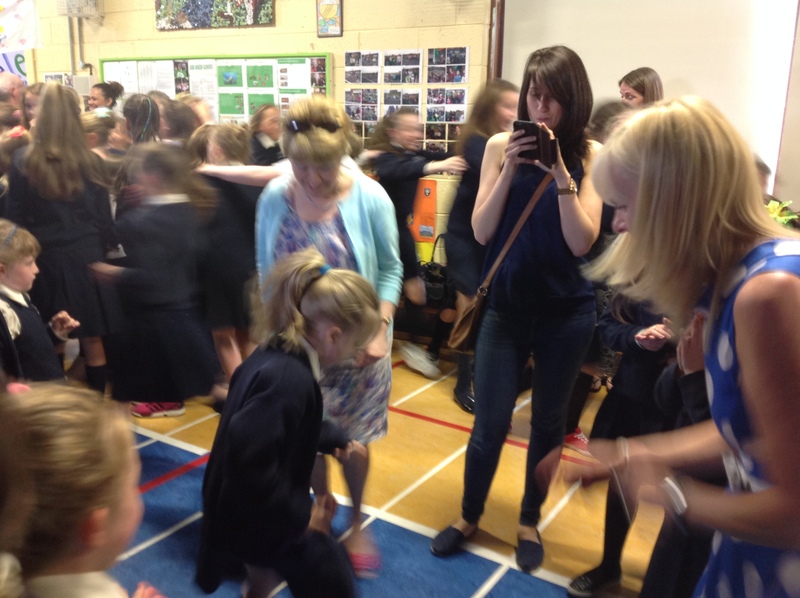 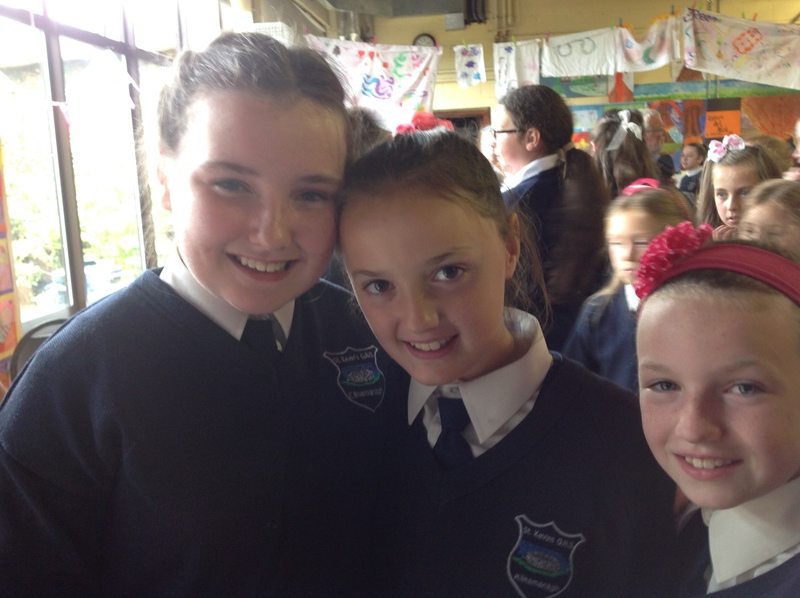 It was a most enjoyable day for the pupils. 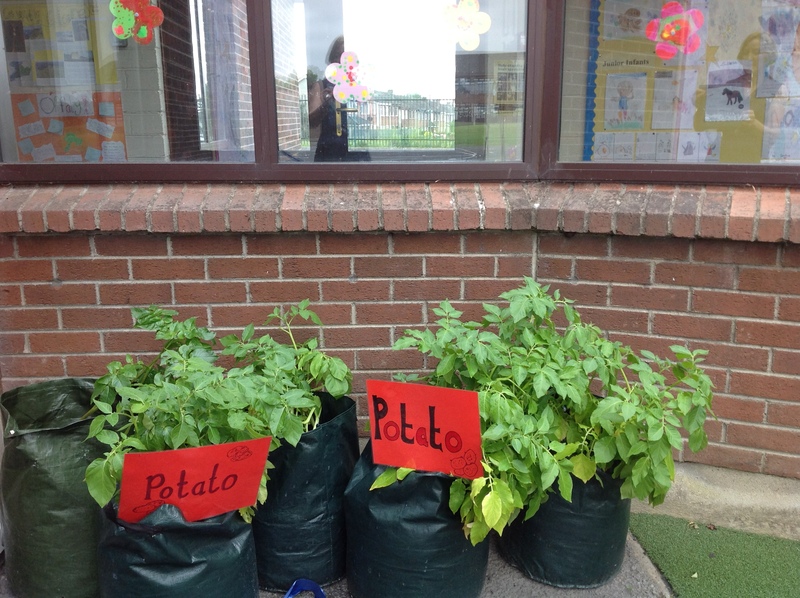 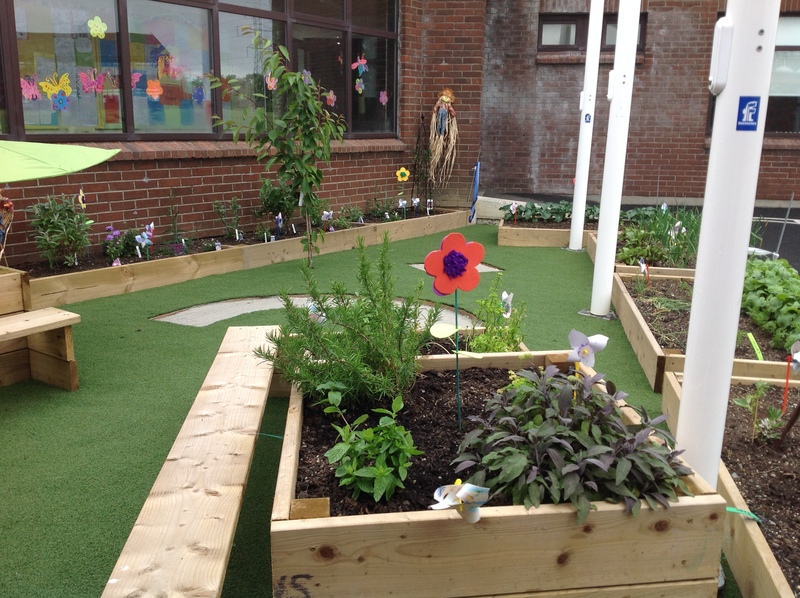 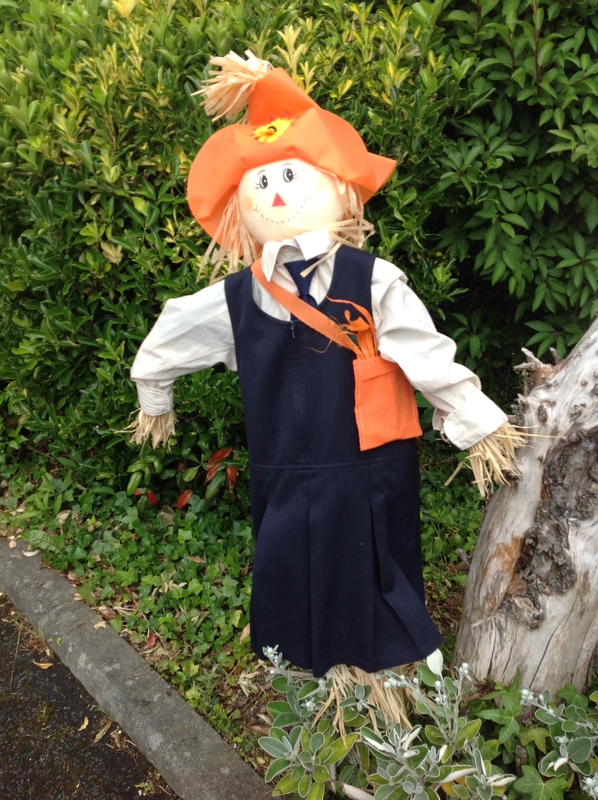 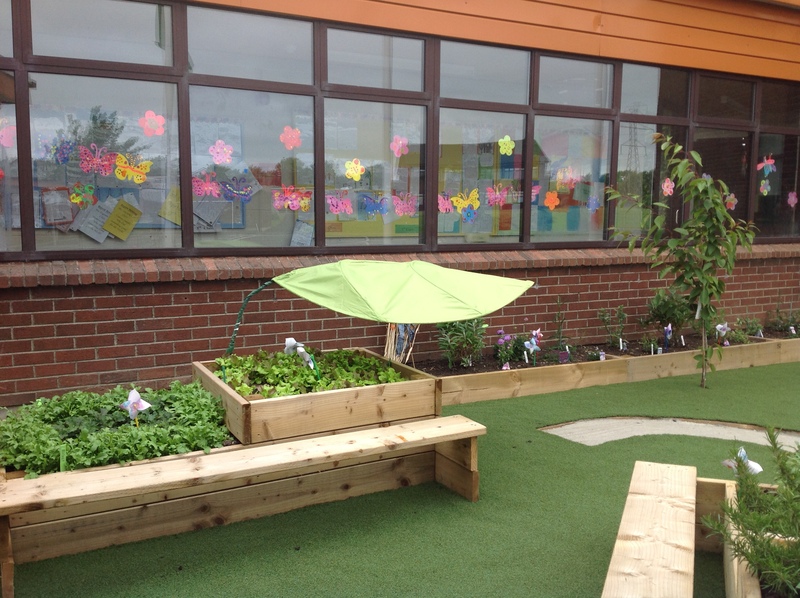 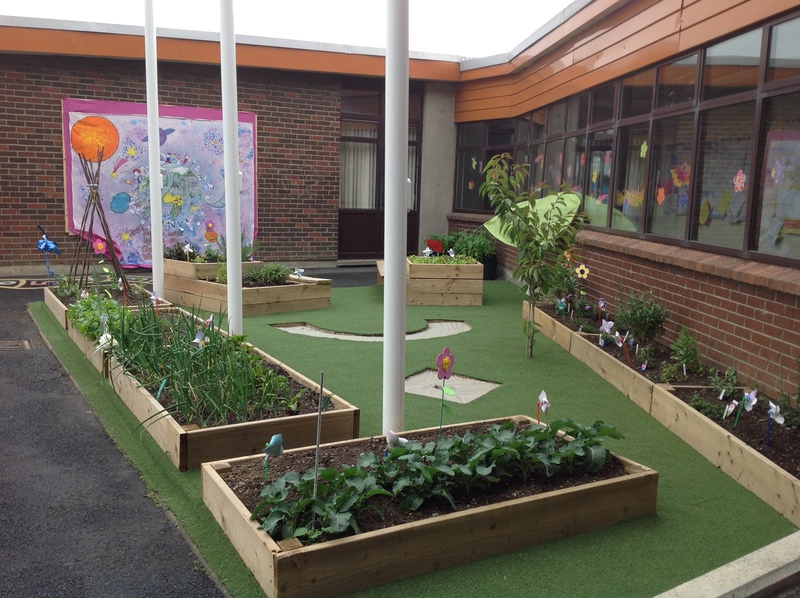 Everyone is welcome to come and visit our garden where the children are growing lovely vegetables and herbs. 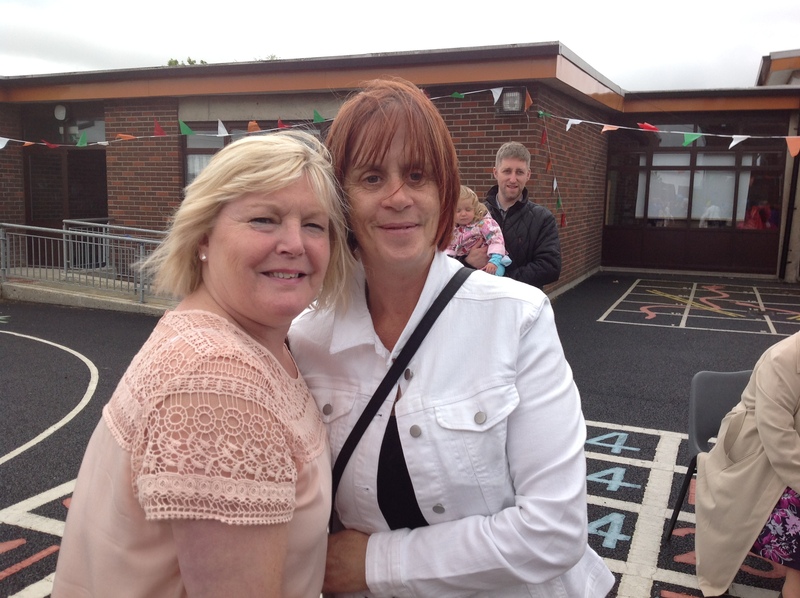 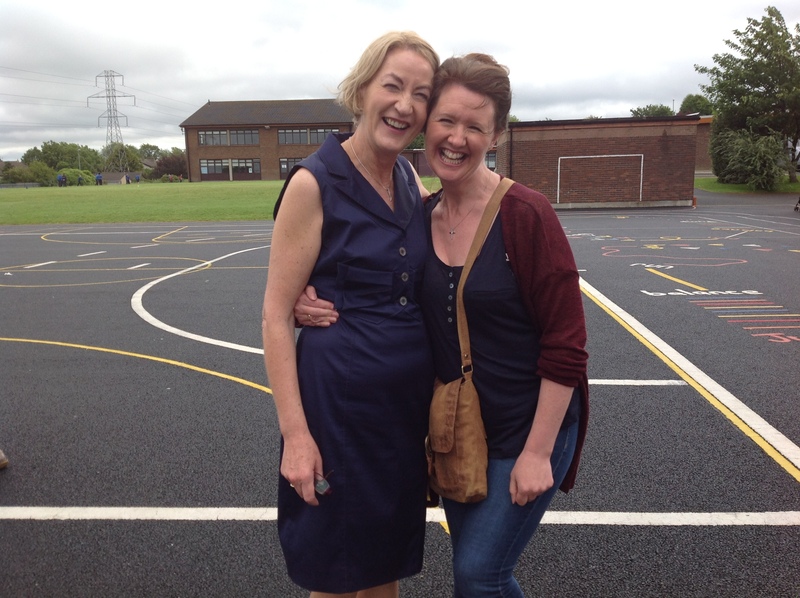 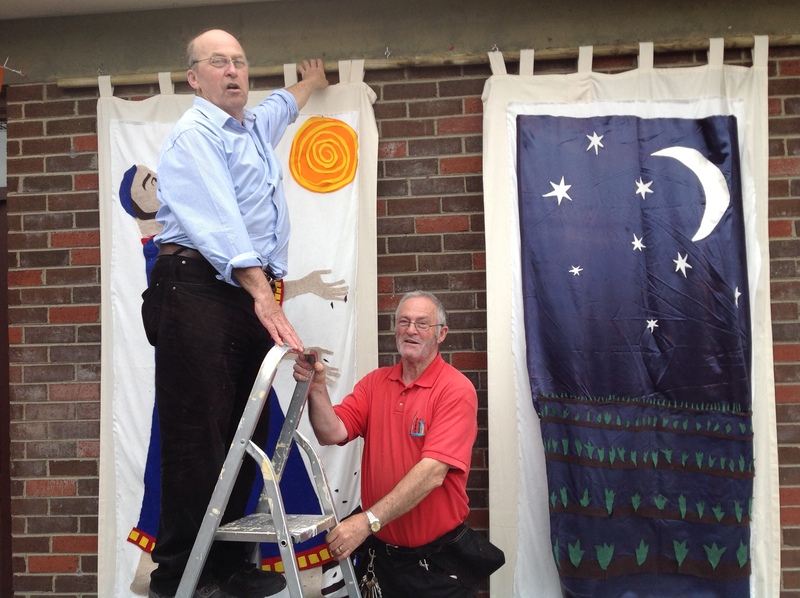 During the evening many people took a nostalgic trip down memory-lane meeting old friends and staff, viewing old photos , DVDs of school musicals , roll books, old school-books and visiting our Jubilee Garden. 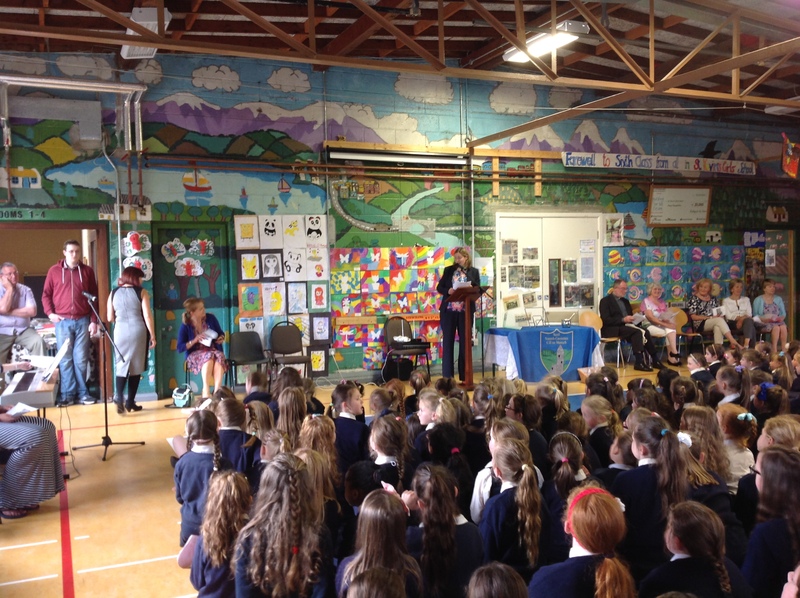 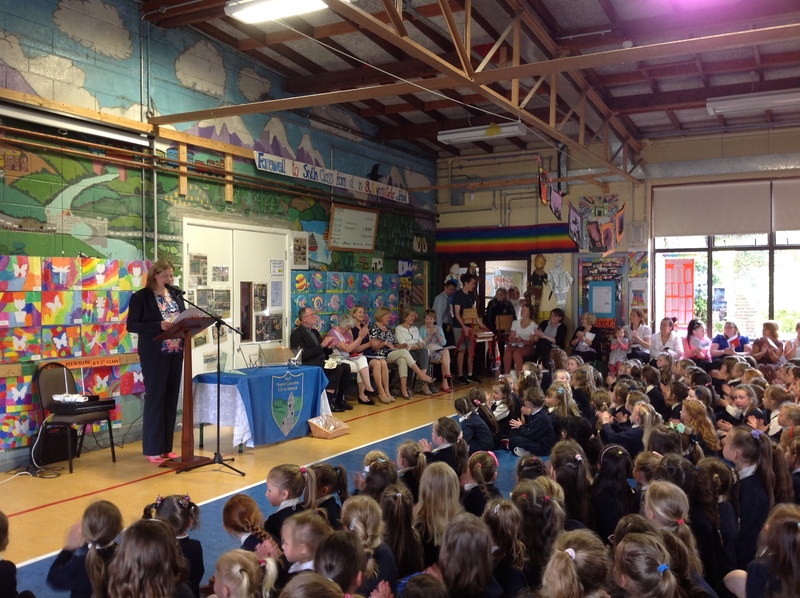 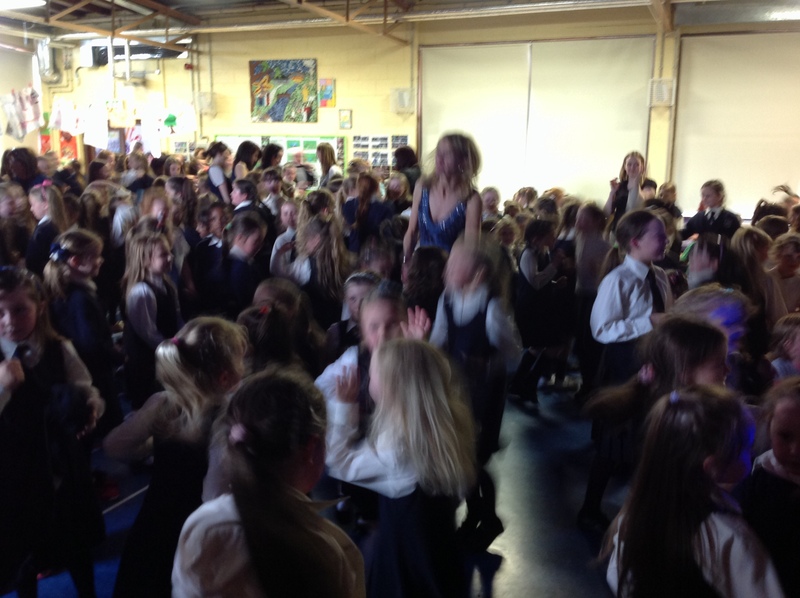 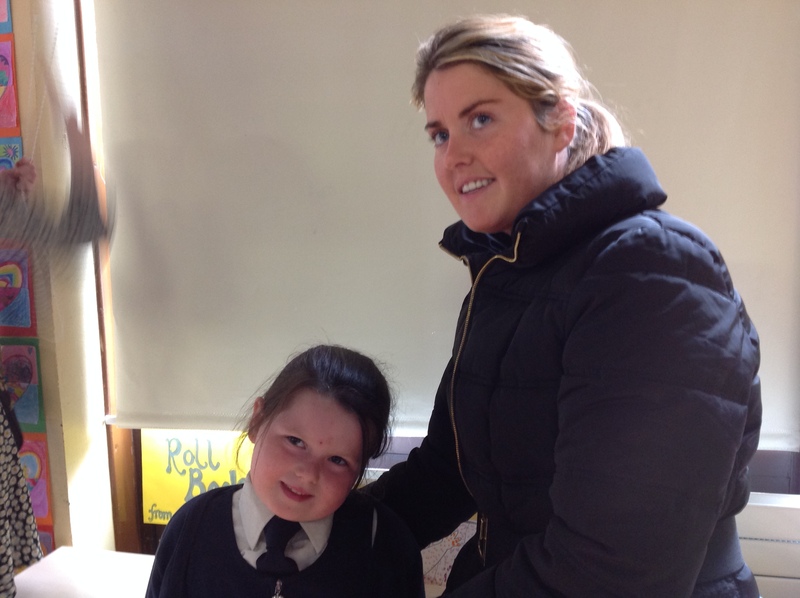 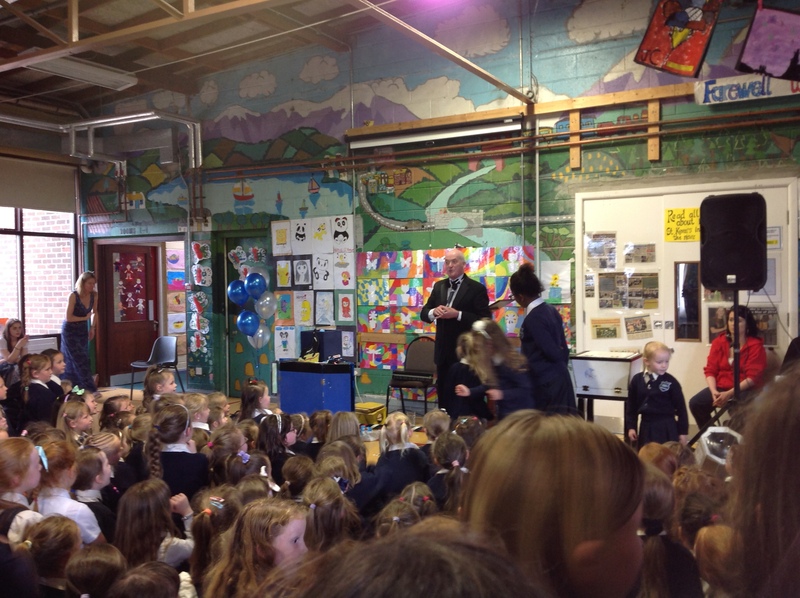 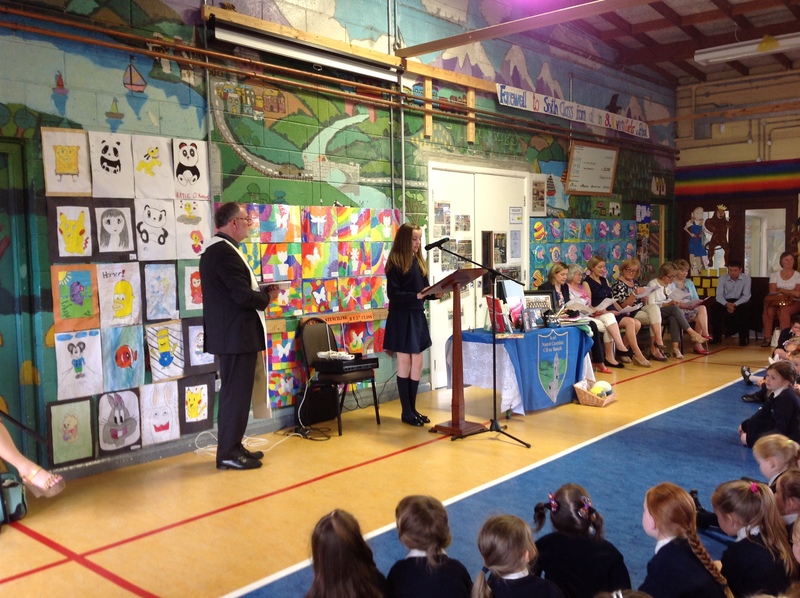 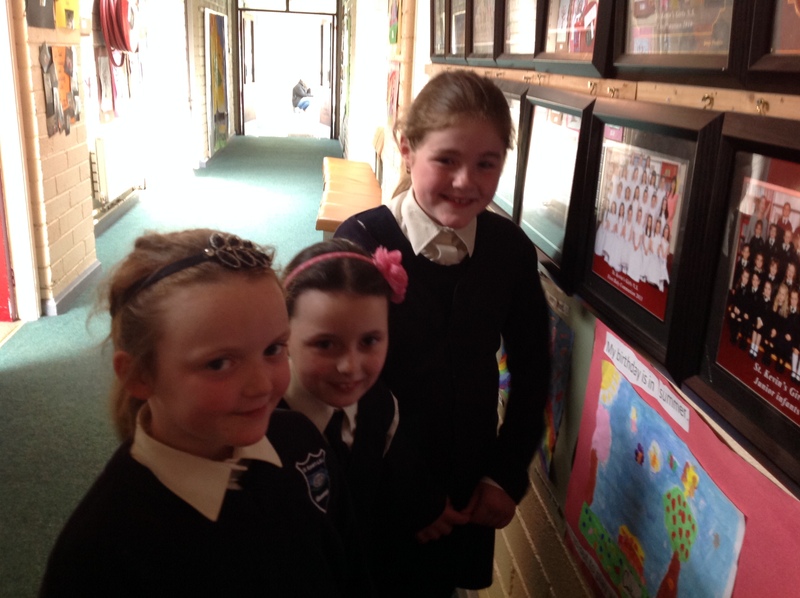 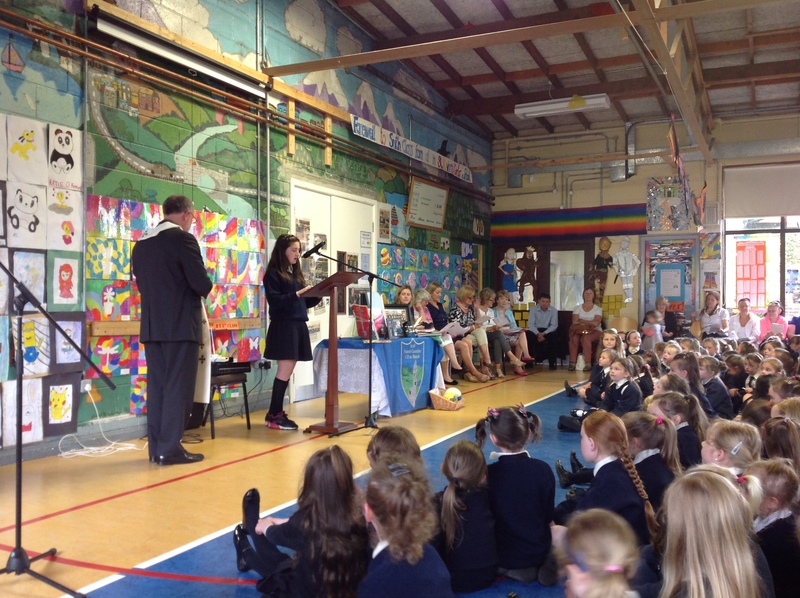 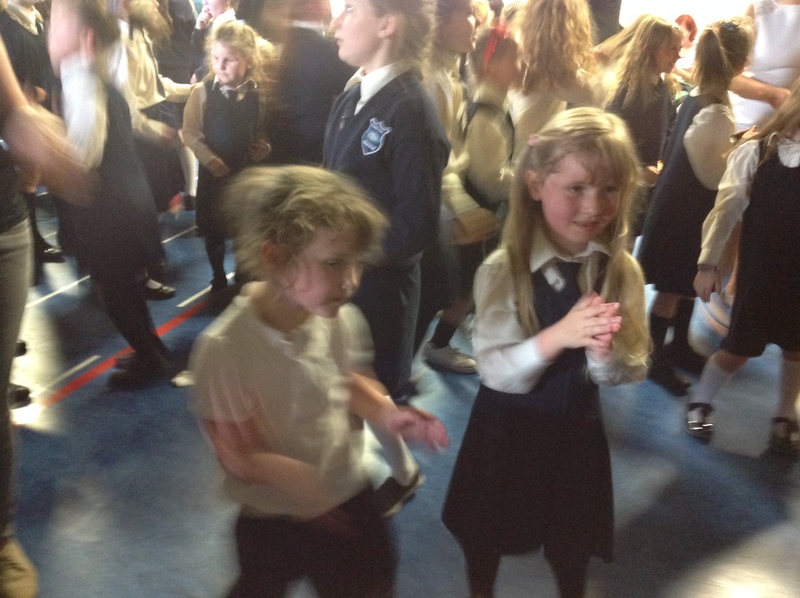 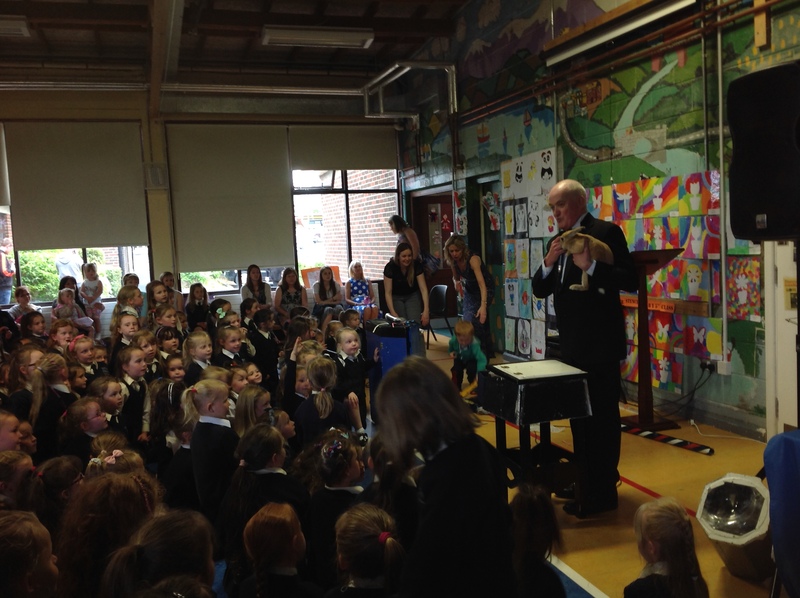 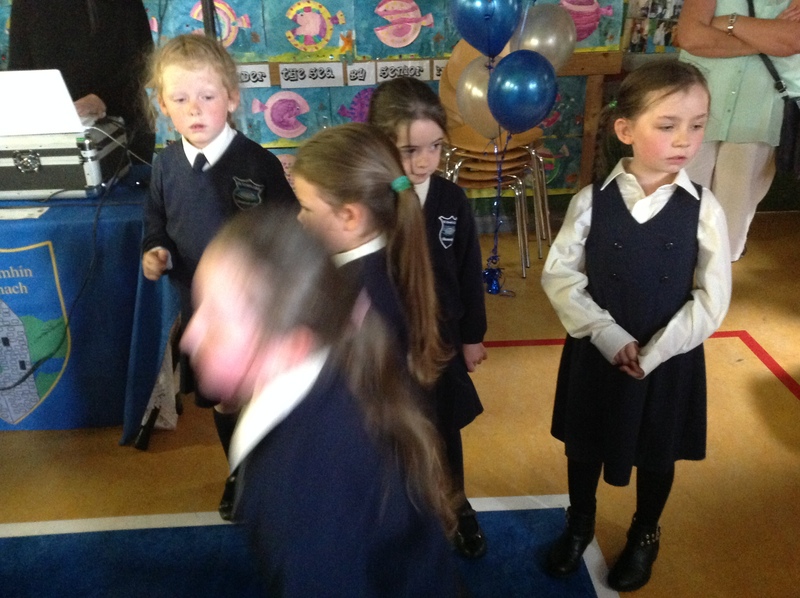 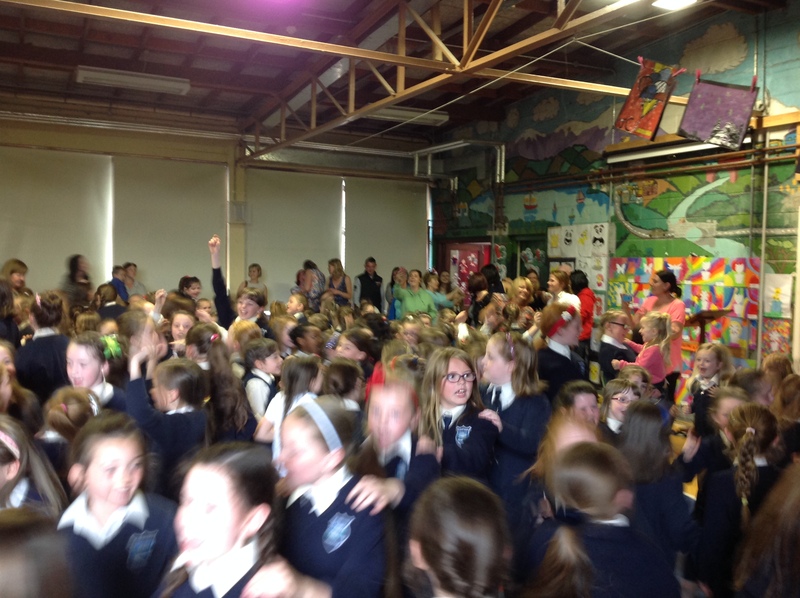 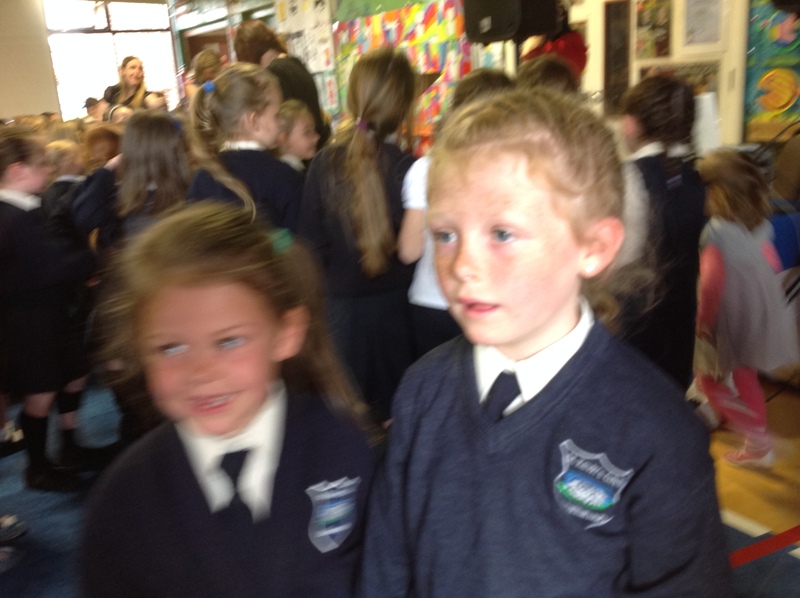 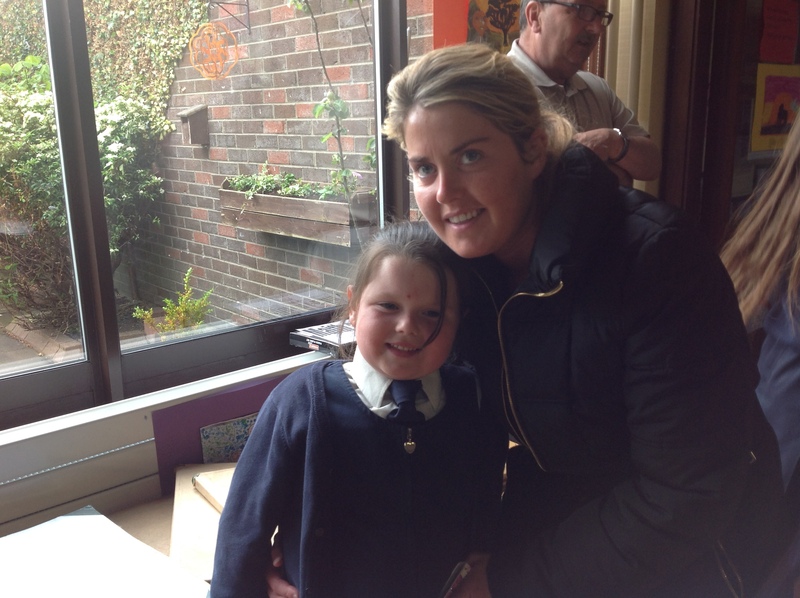 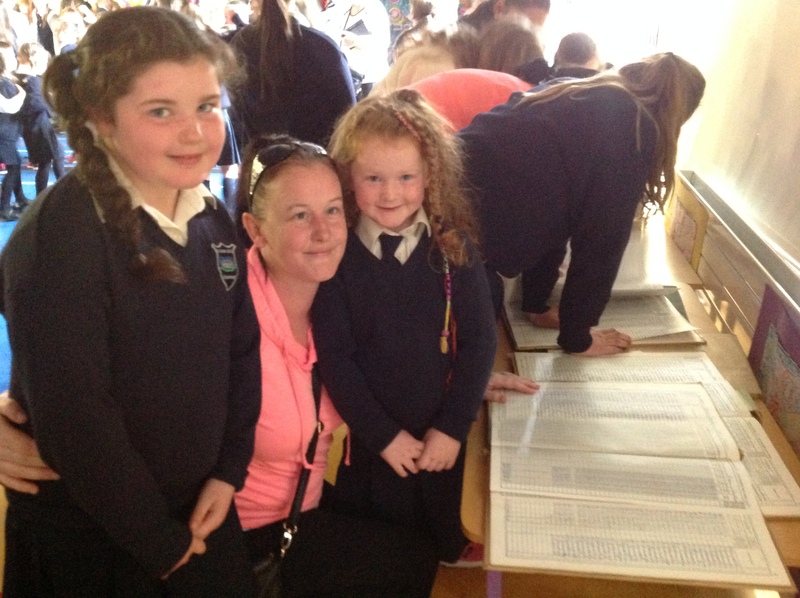 We launched our Jubilee booklet on the night, which can be purchased from the school office for €2. 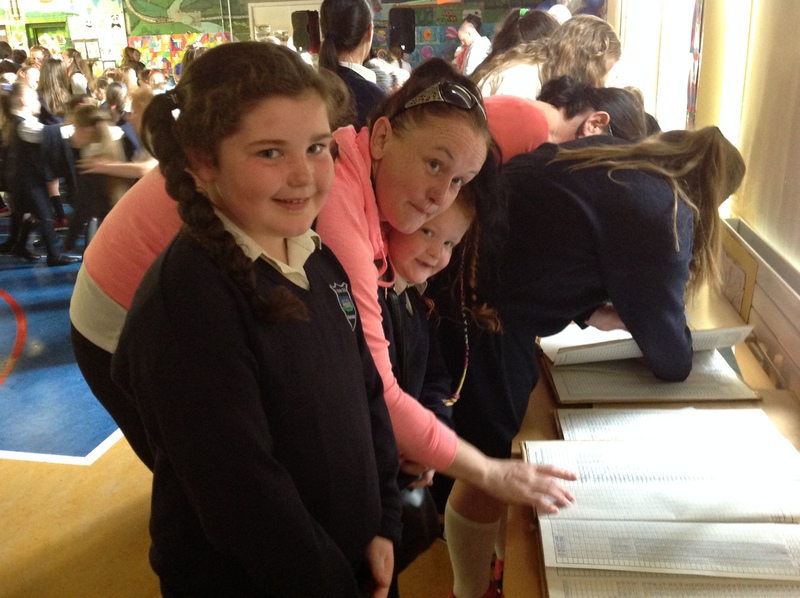 The book contains a brief history of the school, current staff and class photos and a favourite memory from every girl in the school. 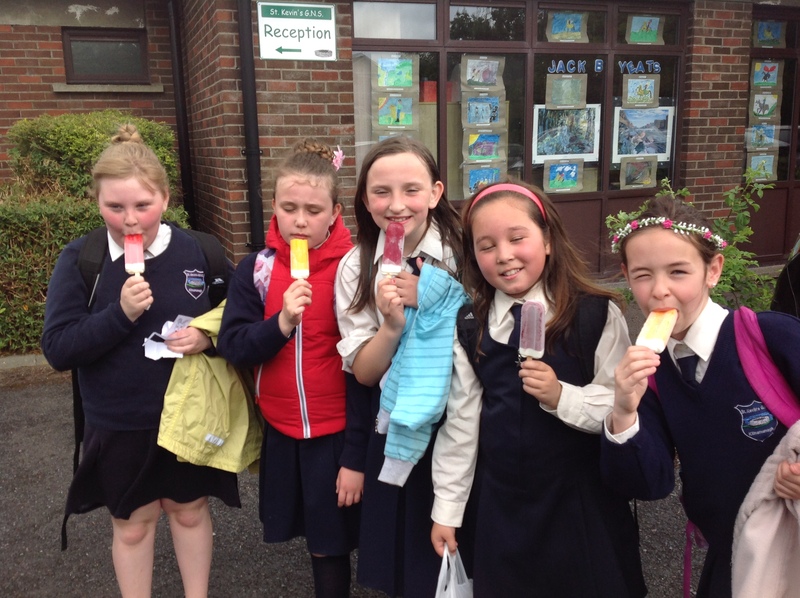 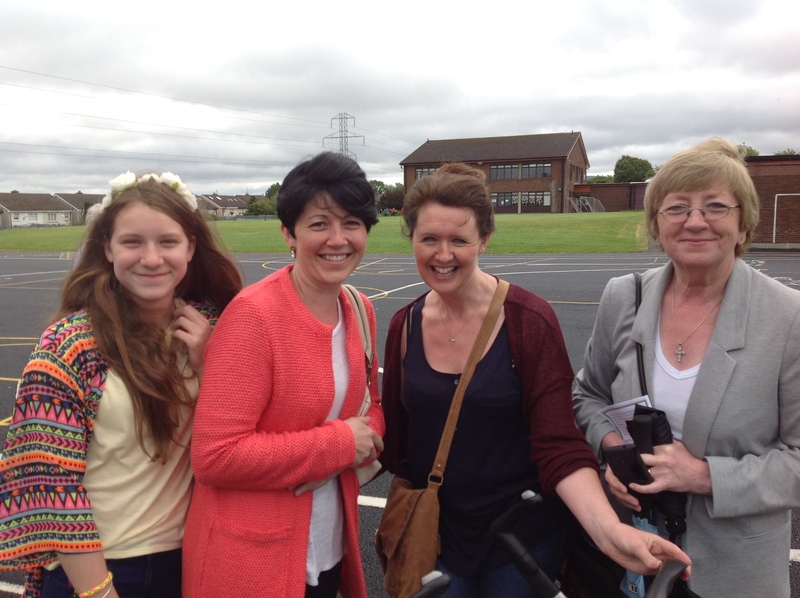 Thank-you to our Parents’ Association, who provided refreshments throughout the day and evening. 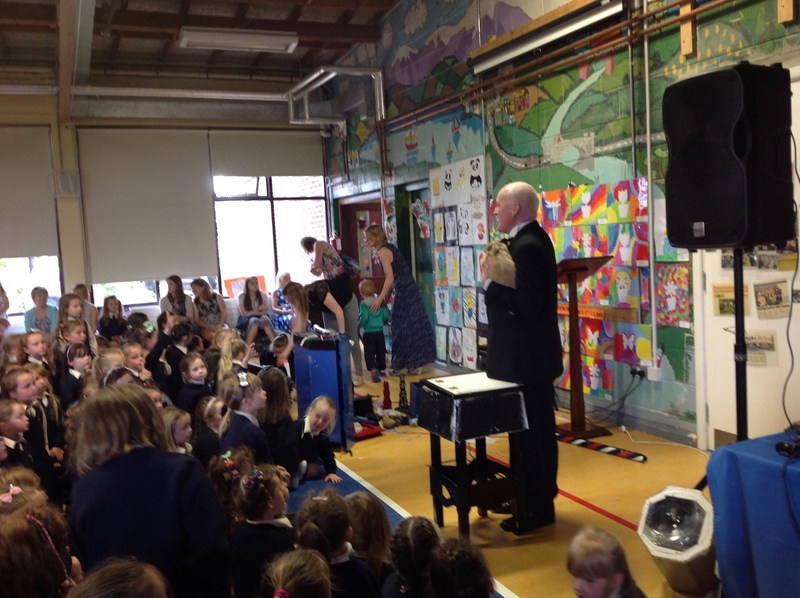 I wish to give a huge thank you to everyone who helped with the planning of the day. 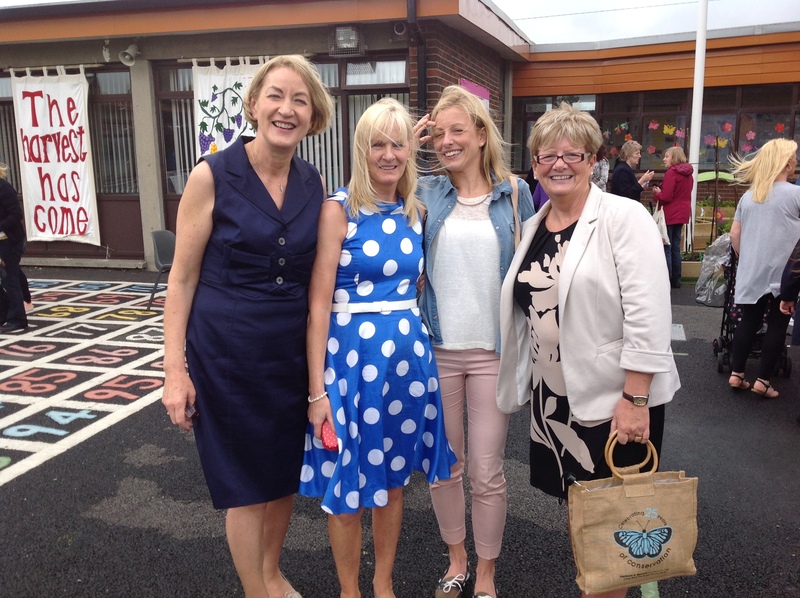 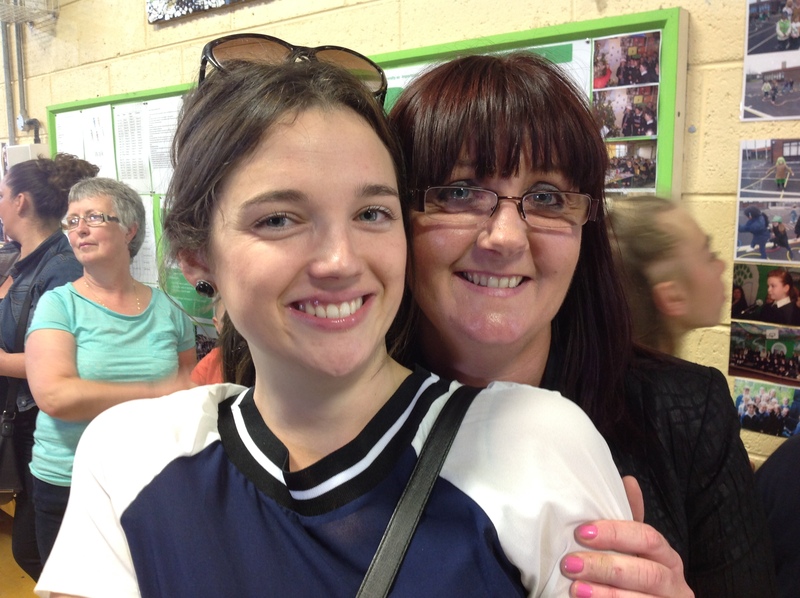 I am lucky to have such a dedicated and hard-working staff, who have led St Kevin’s Girls’ school into its fortieth year and prepared a lovely celebration helped by many members of the Kilnamanagh Community. 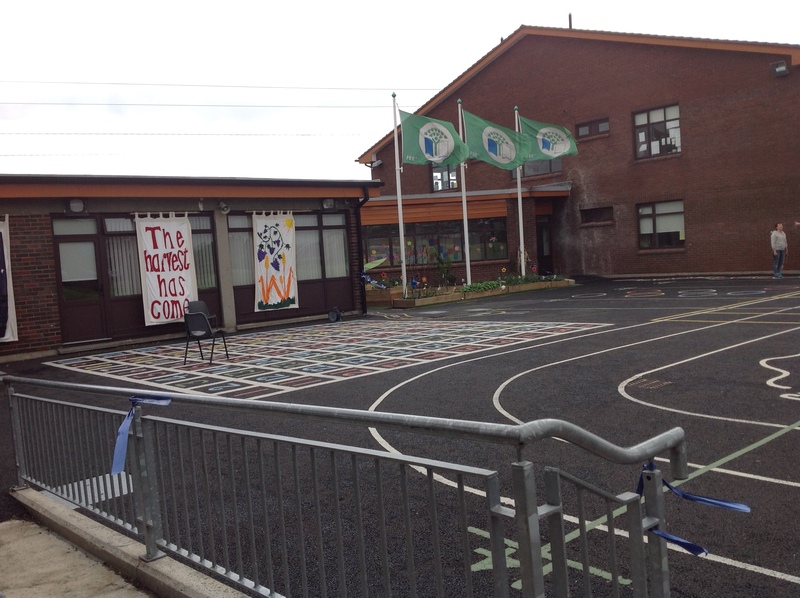 Mile buíochas libh go léir.